DSN-2 – also known as Kirameki-2 – is a Geostationary Communications Satellite operated by DSN Corporation for use by the Japanese military for secure communications in X-Band. 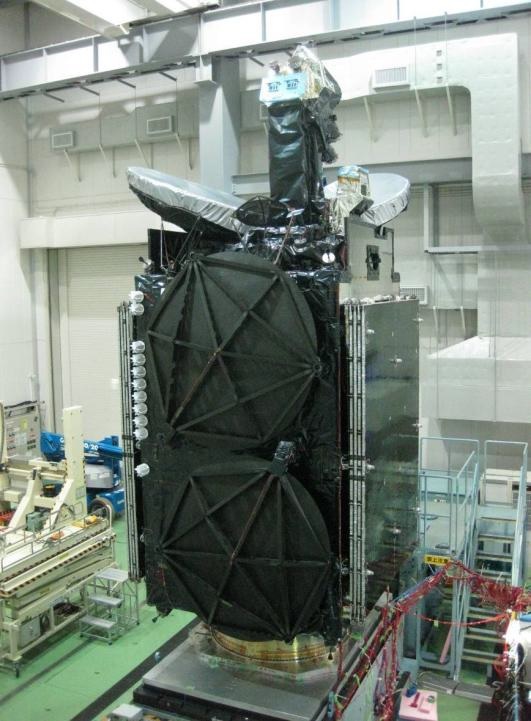 It is one of two space-based terminals making up Japan’s military X-Band network for the provision of secure communications to the armed forces and government users in Japan and surrounding areas as well as forces deployed abroad. DSN Corporation is a joint venture between satellite operator SKY Perfect JSAT, technology company NEC, telecommunications provider NTT Communications, and civil engineering company Maeda Corporation. 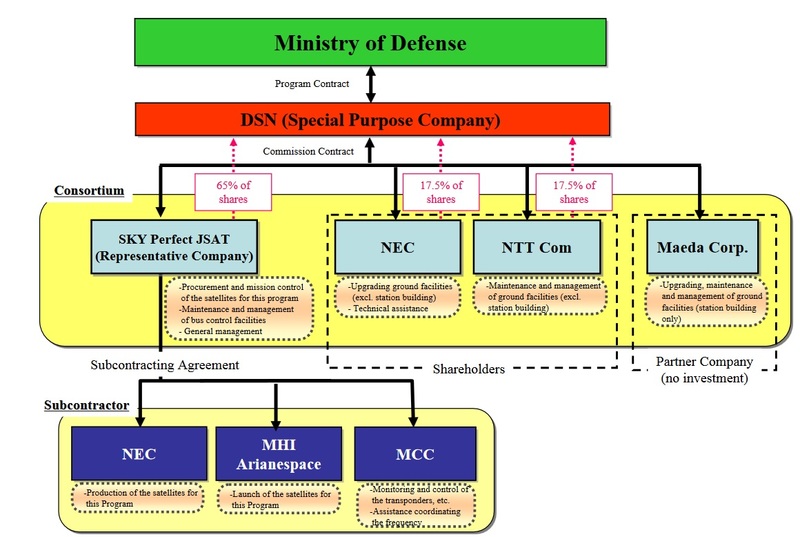 The Japanese Ministry of Defence awarded a contract to DSN Corp. in January 2013 covering the provision of an upgraded space segment for Japan’s military X-Band network, ground systems upgrades and the operation of the system through the year 2030. DSN was Japan’s first Private Finance Initiative that uses private funds, management and technical capabilities with the involved companies incurring the capital investment of the project and then drive in annual revenue from the Japanese government through the end of the program around 2031. Sky Perfect JSAT owns 65% of DSN Corporation and is responsible for the overall coordination of the project, procurement and operation of the space segment, and maintenance of bus control facilities. NEC and NTT each own 17.5% of shares with NEC responsible for the ground segment upgrade and technical assistance and NTT in charge of ground segment maintenance and management. Maeda has no investment in the company and acts as a partner, tasked with building new ground stations for the DSN system. The DSN Network comprises two space segment components – DSN-1 is a hosted X-Band payload on the Superbird-8 satellite that will be under commercial operation by JSAT, and DSN-2 which is a dedicated satellite. DSN-1 was initially expected to launch in 2016, but suffered a significant delay of around two years when sustaining damage during transport to its launch site. 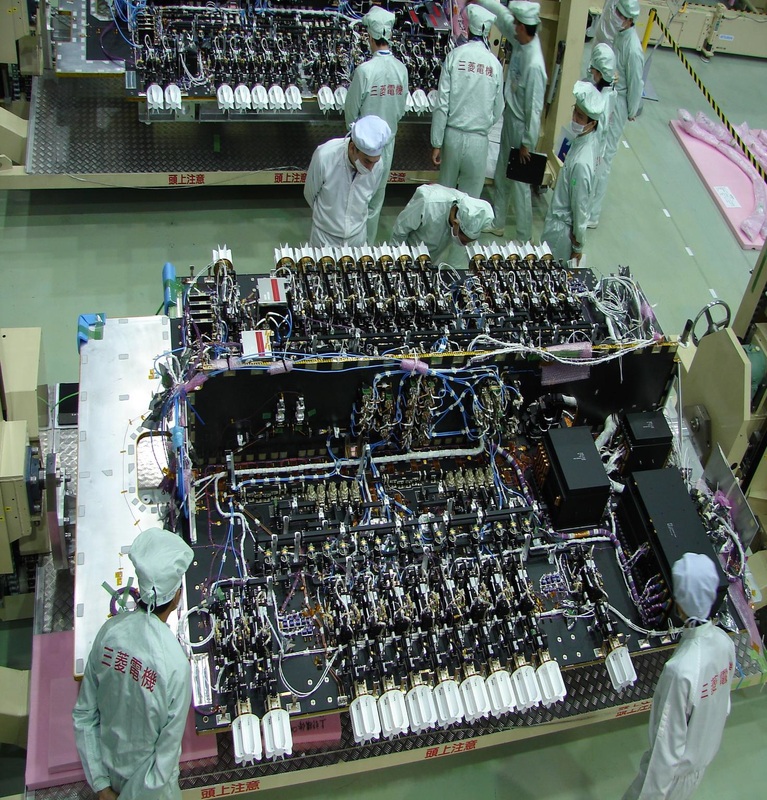 The DSN-2 satellite was built by NEC as a subcontractor to SKY Perfect JSAT based on the Mitsubishi Electric DS-2000 satellite platform. 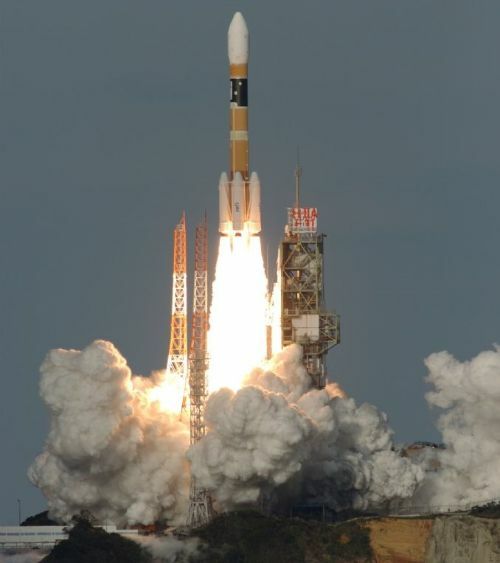 Mitsubishi Heavy was awarded the launch contract for DSN-2, utilizing the company’s H-IIA rocket. MELCO’s DS-2000 satellite platform originated in a satellite design of the Japan Aerospace Exploration Agency that was modified by Mitsubishi Electric to create a versatile geostationary satellite platform for use in commercial communications satellites, weather satellites, data relay craft and navigation satellites. DS-2000 first flew in 2002 and is highly regarded across the commercial space sector for its excellent reliability and projected mission durations in excess of 20 years. DS-2000 can support a payload power of up to 15 Kilowatts and has been baselined for a 100-Volt power bus that implements redundancy to ensure all equipment of the satellite receives electrical power. Power storage is typically accomplished with a 175 Amp-hour battery unit and dedicated electronics are used for power distribution and bus protection. Structurally, the satellite consists of an internal cylinder that builds that load-bearing structure of the spacecraft and facilitates the propellant tanks. From the cylinder extends a network of struts and panels made of Aluminum skin Carbon-Fiber-Reinforced Plastic, used to provide mounting surfaces for the various subsystem components. Attitude determination primarily relies on a Star Tracker system and Inertial Reference Units as well as Earth and Sun Sensors used during initial acquisition and safe mode. Using a Reaction Wheel Assembly consisting of four wheels, the satellite has a pointing accuracy of 0.03 degrees for precise Earth-oriented operation. Thermal control equipment on the satellite includes external radiators and internal heaters to maintain an operational environment for all satellite components. DS-2000 features a liquid-fueled propulsion system consisting of an Apogee Engine and a dozen attitude control thrusters. The main engine is located on the aft side of the spacecraft and is used to perform a series of apogee maneuvers to boost the satellite from an elliptical Geostationary Transfer Orbit into a nearly circular Geostationary Orbit. Engine options available for the DS-2000 satellite bus are the 490-Newton R-4D and 450-Newton BT-4 engine, both use Monomethylhydrazine and Nitrogen Tetroxide/MON as propellants. Details and specifications of the X-Band payload of the DSN-2 satellites are not available to the public given the military nature of the mission. 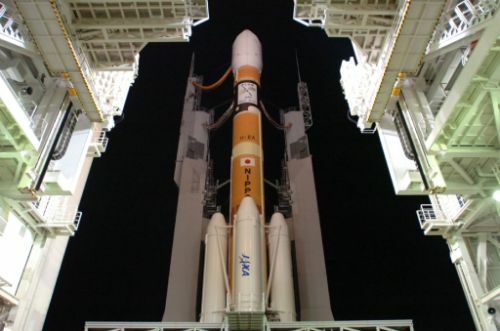 The satellite will be used to connect Japanese military units on land, naval vessels and the air forces of Japan. According to press reports, DSN-2 will be stationed over the Indian Ocean from where it can cover UN contingents in South Sudan and provide services for operations against Somalian sea pirates. Copyright © 2019 H-IIA – DSN-2. All rights reserved.